7 M B L St.
Longo, William M, Yongsong Huang, Yuan Yao, Jiaju Zhao, Anne E Giblin, Xian Wang, Roland Zech, et al.. 2018. “Widespread Occurrence Of Distinct Alkenones From Group I Haptophytes In Freshwater Lakes: Implications For Paleotemperature And Paleoenvironmental Reconstructions”. Earth And Planetary Science Letters 492. Earth And Planetary Science Letters: 239 - 250. doi:10.1016/j.epsl.2018.04.002. Daniels, William C, Yongsong Huang, James M Russell, and Anne E Giblin. 2018. “Effect Of Continuous Light On Leaf Wax Isotope Ratios In Betula Nana And Eriophorum Vaginatum: Implications For Arctic Paleoclimate Reconstructions”. Organic Geochemistry 125. Organic Geochemistry: 70 - 81. doi:10.1016/j.orggeochem.2018.08.008. http://www.sciencedirect.com/science/article/pii/S0146638018301888. Daniels, William C, James M Russell, Anne E Giblin, Jeffrey M Welker, Eric S Klein, and Yongsong Huang. 2017. 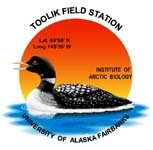 “Hydrogen Isotope Fractionation In Leaf Waxes In The Alaskan Arctic Tundra”. Geochimica Et Cosmochimica Acta 213. Geochimica Et Cosmochimica Acta: 216 - 236. doi:10.1016/j.gca.2017.06.028. https://linkinghub.elsevier.com/retrieve/pii/S0016703717303770. Longo, William M, S. Theroux, Anne E Giblin, Y. Zheng, J. T Dillon, and Yongsong Huang. 2016. “Temperature Calibration And Phylogenetically Distinct Distributions For Freshwater Alkenones: Evidence From Northern Alaskan Lakes.”. Geocosmochima Cosmochima Acta 180. Geocosmochima Cosmochima Acta: 177-196. doi:10.1016/j.gca.2016.02.019.